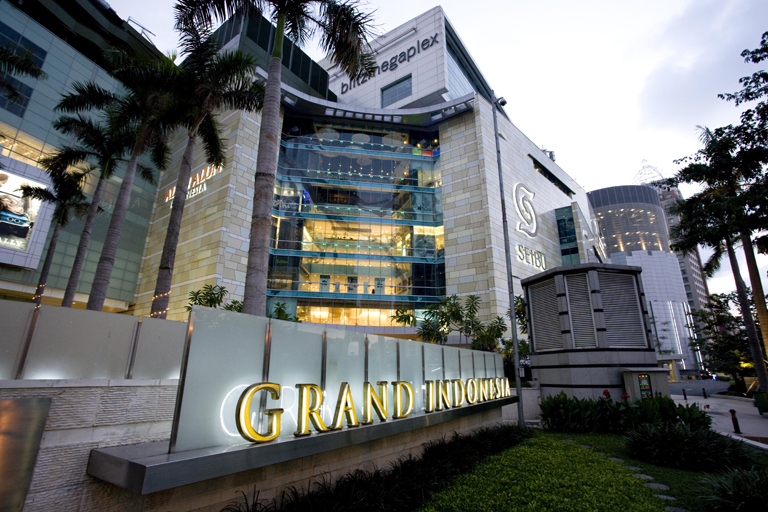 Grand Indonesia is a mixed-use complex including a shopping mall and hotel. The site of the current Grand Indonesia was previously occupied by Hotel Indonesia. Hotel Indonesia is one of Indonesian’s landmarks. It was the first five star hotel in the archipelago, being the most prestigious hotel at the time. The development of the building was initiated by the first Indonesian president, Soekarno, who was also an architect. Grand Indonesia was built without torn down the original Hotel Indonesia building in order to keep it as a landmark. The surrounding area of it is known as Bunderan (Circle) HI. This area is very popular because it is often used as a gathering place for celebrations, demonstrations etc.